Stable Rents. Stable Lives. Stable Communities. 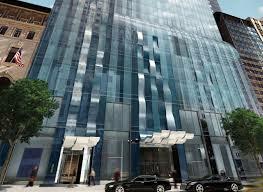 The city was shortchanged on the number of affordable apartments created under the 421-a property-tax abatement that state lawmakers gave the developer of the luxury Midtown residential tower One57, according to a report issued Tuesday. The Independent Budget Office found that the $65.6 million in taxes forgiven to One57 over a decade could have produced roughly five times the 66 units created under the subsidy. Paying affordable-housing developers directly would have garnered the city as many as 367 units with the same amount of money, while a separate program that gives nonprofits tax breaks to operate low-rent housing could have yielded 320 units, the analysis found.